Hammel Scale offers a full range of scale calibration services under METTLER TOLEDO’s Authorized Field Representative program in Kansas and Northcentral Missouri. Our service technicians can provide accredited calibration services for laboratory balances, mid-capacity, and high capacity scales. 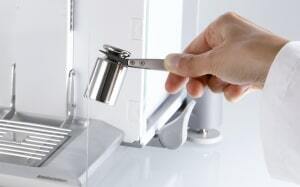 We are proud to be an Authorized Field Representative for the METTLER TOLEDO Accredited Laboratory. This A2LA approved program allows us to perform accredited calibrations under the METTLER TOLEDO 1902.01 accreditation and scope. Immediately upon completion of the calibration service work, an accredited calibration certificate from METTLER TOLEDO is issued. Carrying certified and traceable weights in both metric and standard from 1 mg to 1,000 lb test weights, our techs are always prepared for the application. With 5 locations through all of Kansas and Central Missouri, our calibration services are simply a phone call away. 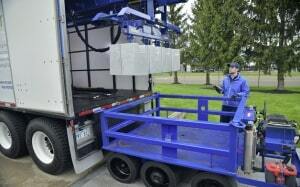 Each of our service trucks contains at least 1,000 lbs of certified and traceable test weights. Even the simplest of repair calls to a scale can be calibrated any time. Our heavy duty test trucks can carry up to 25,000 lbs of certified known weights. Additionally, our trucks can perform a strain test of up to 56,000 lbs! This ensures maximum accuracy when inspecting and calibrating your vehicle scales. Remember, calibrating or inspecting vehicle scales can put them out of service for an hour or more. Fortunately, Hammel Scale offers 24/7/365 services. Call today for more information on working around YOUR schedule.